The Trident 24 is not only pleasing to the eye. She is also a solid, easy-to-handle, sea-kindly 4-berth boat that is often admired and frequently referred to by brokers as “a proper little yacht”. The Trident’s seagoing capabilities have been amply demonstrated over the years by the extensive record of offshore voyages. 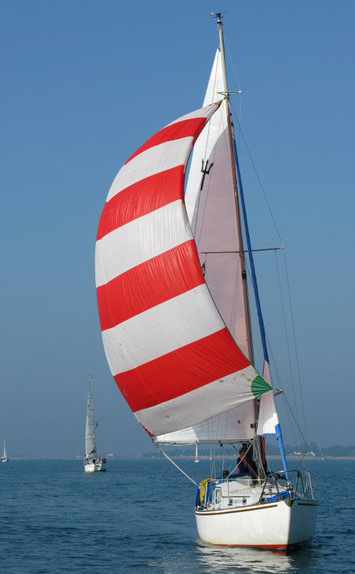 The Trident offers a choice of three different keel types – drop keel, fin keel and triple keel. The triple keeled version makes her particularly suitable for shallow and drying harbours and the majority of Tridents were produced in this form. Strength: As one of the first production boats to be moulded in GRP, Tridents are far more solidly built than many designs that followed. 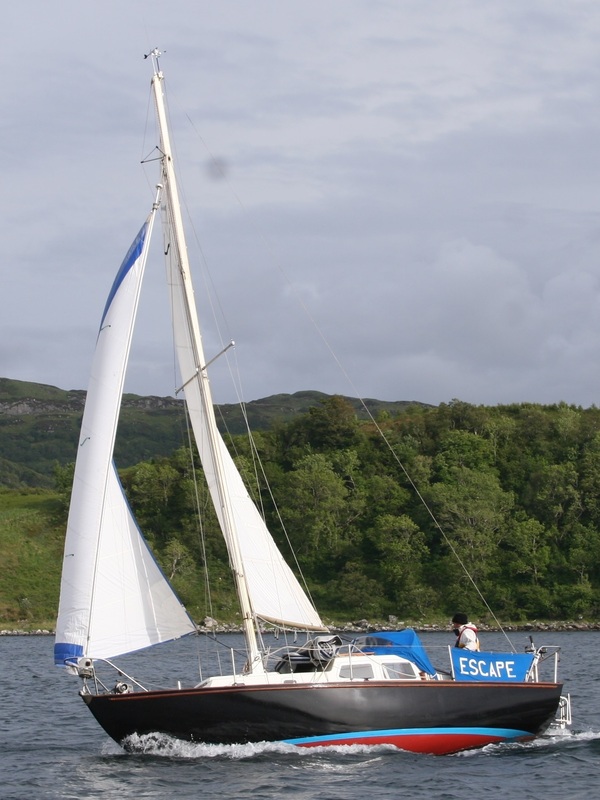 The mast is strongly-stayed with twin lowers and the fractional seven-eighths rig is easily-handled. Engines: Many were originally fitted with Vire 6 or 7 hp two-stroke petrol engines though most of these have been replaced with a variety of power units. The compact Yanmar 9hp diesel has been a particularly popular replacement. The Trident handles well under power – both forward and in reverse. 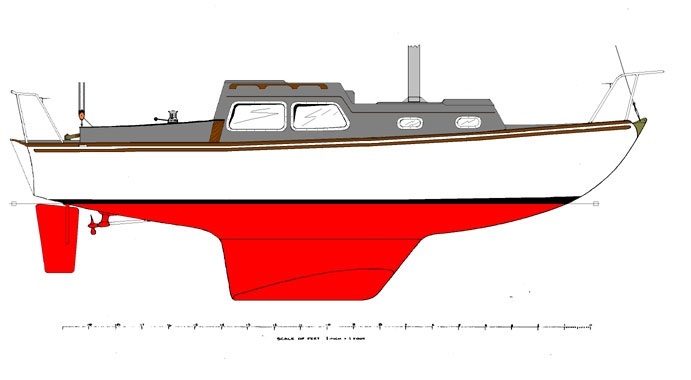 Seaworthiness: Alan Hill’s aim was to design a boat that would look after her owner. The result is a buoyant, seakindly hull capable of offshore passages. Wide side decks, 40% ballast and deep a self-draining cockpit are combined with exceptional stowage. Cruising range: Over the years, Trident owners have cruised widely throughout the British Isles and Northern Europe. Passages have also been made to Spain, the Mediterranean and Adriatic, and the West Indies. Tridents were exported to Scandinavia, Yugoslavia, the Middle East and North America. Designer: The Trident 24 was one of Alan F Hill’s earliest and most successful designs. Alan later went on to design most of the Marine Construction range – including the Marcon Striker 22, Tomahawk 25, Sabre 27, Claymore 30 and Halberdier 36 – as well as over a hundred other production boats and one-off designs for other builders. Always at the forefront of innovation – but determined to build boats that would look after their owners – Alan is one of Britain’s most experienced and respected yacht designers. Builder: The Trident 24 was the first cruising boat built by Marine Construction, the company founded by Eric White who pioneered the idea of home-completed kits to make cruising affordable to the ordinary working man. The Trident laid the foundation for the company, that by the 1970s, was moulding 19 different GRP designs, including the Rival and Nicholson 45. 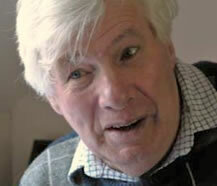 Another fan of the Trident was Des Sleightholme, a former editor of Yachting Monthly. He owned the drop-keel version, Tinker Liz, for many years. TOA members can read more about the History of the Trident and Epic Cruises in the Members’ Area.